The Blockchain technology was introduced to the world with the launch of Bitcoin. This is why it’s mostly known for its application in digital payment systems, secured and untraceable transactions and faster execution. 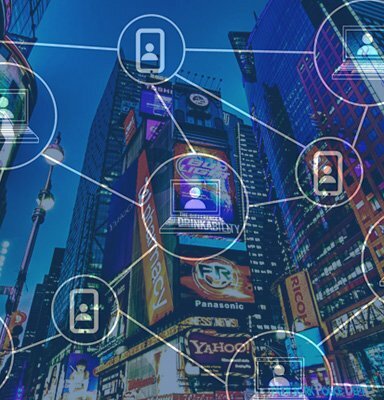 Nevertheless, Blockchain evangelists have been trying to persuade all other industries about its ability to be integrated into every form of computing and hence, Industry. It finds a rare prospect with the Real Estate sector and promises to change the way it used to function until now, to make it one of the most profitable industry after finance. If you are looking for Real Estate Blockchain Platform Development company, Tokyo Techie is the best choice for you. It is important to note that Blockchain technology primarily enables strong encryption and data validation as well as disables data manipulation completely. It is a distributed ledger system and works on a peer-to-peer network where the network continues to grow. The continuous growth of network or blocks is linear, that is, one block is connected to its next block through a unique code or a ‘hash’. Once a block is added to the chain the data recorded in it cannot be altered as that would change it’s ‘hash’. Since a block is connected to its next through it’s ‘hash’ any change in it will also require the hash of the next block to be changed and then the next and so on. This renders the whole operation of data manipulation a fruitless exercise and discourages hack. Blockchain by definition works on a peer-to-peer network. By network, it could mean public network or a private network. In a public network the number of entities that could be added is infinite whereas in private networks a limited number of entity control the nodes. The blockchain principle restricts any sort of forging irrespective of the type of network. Every entity within the network has equal authority and the system needs approval of all entities in order to validate a transaction and record the data. 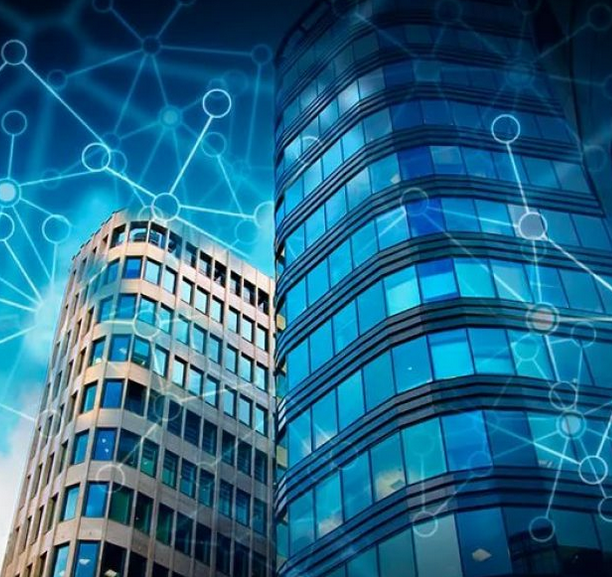 In order to understand the solutions that Blockchain offers in Real Estate we first need to address the problem statement that Real Estate industry in India currently needs to deal with. Rampant corruption led to decline in quality and fulfilment of promises made to customers and home buyers until the RERA Act was brought into effect. Almost half of developers either went bankrupt or simply shut down their businesses. It clearly sheds light on the number of fake developers that were operating who not only posed a serious threat to the genuine real estate businesses but were also destroying families who had invested and were unable to escape the quagmire. However, the scene is better now than before though not systematised yet. Real estate brokers earn their livelihood by facilitating sale of properties and collecting commission from both buyers and sellers. Often the brokers show unwanted expenses in relation to paper work among others, pressurise the sellers into committing a lower price and coercing buyers into paying a bigger amount in order to increase their share. This practice leads to unwanted expenses that could easily be avoided if there was a system to bypass the property brokers. Even consumers trust brokers more than the builders and readily pay them to get hold of a genuine property. This problem can be averted through a transparent system where buyers and sellers can directly deal with each other. This is one challenge that leaves every home buyer perplexed. It has long been decided by the consumers not to trust the builders at face value. This creates a problem for the genuine players who have hard time explaining their authenticity. This distrust is manifold in case of land deals. One can never be sure if the land is litigated under the current system. Almost 80% of all deals, residential or commercial are delivered later than the promised date. Primary reason for delays however is procuring regulatory compliances such as construction certificates, no objection certificates from sewerage, environment compliances, etc. Other reasons for delay occur due to land disputes, complaints against developers, lack of funding, etc. Sometimes builders sell a single unit to multiple buyers in order to raise funds. Generally once developed, the customers are given possession of flats according to the original specifications but not the one they had paid for. In such scenarios mostly the buyers file complaints which delay the delivery enormously. Property buyers often find themselves in a soup when they buy an inherited property without researching properly. Even if one does try to explore, there is no assurance of finding every detail as most of the information are recorded in papers. In case of inherited properties it is mostly owned jointly by more than one person and unless a ‘no objection’ letter is acquired from all owners the deal stands litigated awaiting court decision. There can be countless other possibilities of getting robbed by dishonest businessmen due to the absence of transparency in property dealings. And it is not always the consumers that face the challenges. Genuine builders too have challenges to deal with. The number of approvals that needs to be obtained number more than fifty and most of them belong to different government departments. This not only result in delays but also accounts for a lot of corruption. Developers often take into account the probable amount to be paid as bribes while calculating the selling price of the properties. It is the primary activity of a developer to consolidate the land before they could develop a property over it. In most cases the area constitutes of multiples stretches of land owned by multiple people. One cannot vouch on the fact if all the owners of land have clear titles and therefore it needs additional paperwork that the developers get done for the owners of land and only then they could transfer the property to themselves. Sometimes getting clear title over land for the builder themselves take ages. There are various other challenges that include funding, labour, adhering to the RERA regulations while all of the challenges still linger. Since every challenge is directly linked with other challenges, all of them need to be sorted out for smooth functioning and timely delivery of the projects. How can Blockchain help in Real Estate ? Blockchain is a revolutionary technology that can bring in major changes into the real estate sector and help in improving it. Blockchain Technology will bring in a platform that will remove the brokers and other middlemen completely out of the picture. 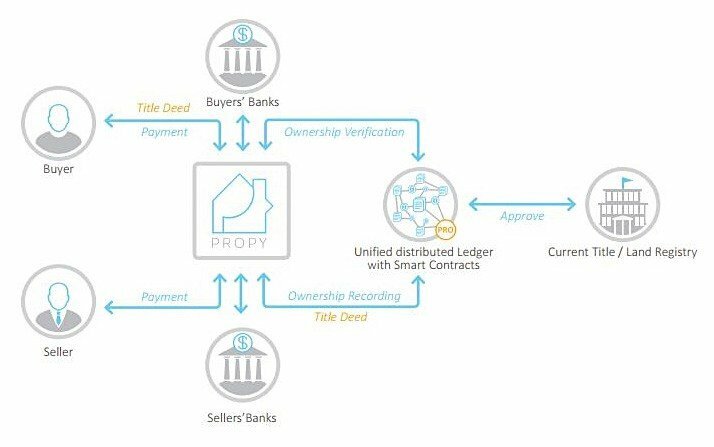 Blockchain provides ultimate transparency where buyers and sellers can both perform their businesses, choose property on sale, verify prices, deal with the developers directly and make the payments which are recorded publicly and cannot be tampered with. This implementation of a common database will end up with brokers being left out of the picture completely. All properties by all developers in a single platform will enable the buyers to compare property prices and enforce competitive pricing by the property dealers. It will have an overall impact in standardising the real estate market and eradicate the chances of hyper-pricing. With a common database being used by builders, tenants, land owners, buyers, investors and all other stakeholders associated with it, most of the processes get streamlined and cuts out the paper work. This eliminates corruption, land acquisition issues and litigations. 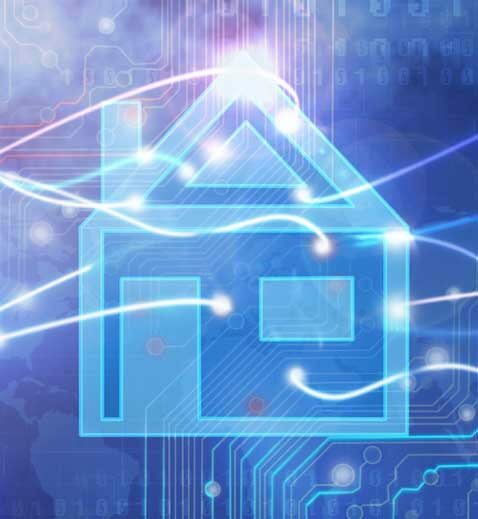 With Blockchain Technology in real estate industry is eyeing at a revolution waiting to happen that will completely change the way it’s been functioning till now. Everyone will benefit from it where transactions would take hours to complete, that used to take years! So why to wait contact us now and get your Real Estate Blockchain Product Developed.